Sports require athletes to move with speed and power, in all directions. There are many exercises to help athletes prepare for these demands, and as a strength coach, I am always looking for new ways to keep my athletes from getting bored with the workouts. The first exercise is the band-resisted hip flexor pulls with isometric holds. This is a simple exercise on paper but can be a difficult exercise to perform. *Starting in a position like a Mountain Climber exercise, have the athlete wrap a mini band around his right foot (and anchored at the other end as well) and bring the foot forward keeping the foot off the ground. *Ideally you want about 90 degrees or more of hip flexion. *Have the athlete hold this position for 3-5 seconds and perform 3-4 sets of 10-12 reps. Switch legs after each set and allow 15-30 sec of rest between sets. If the athletes' hip flexors or really tight or weak, it won;t take much to fatigue this muscle. In this case stick with 3 sec. holds and start with 2-3 sets. The second exercise is the barbell rotation using a landmine. If you don't have access to a landmine-style anchor, you can just place one end of the bar in the corner of a wall (place a towel down to protect the wall from getting marked up). This exercise is one of my favorites for working the oblique muscles and developing stability and strength. Not only is this a rotational exercise, but more specifically it is a anti-rotation exercise. What I mean by this is not letting gravity pull the bar down for you during the execution of the exercise. *Grab the end of the bar, with the other secured in a landmine or corner of a wall, with slightly bent arms extended overhead. *Pull the bar back to the starting position using the oblique muscles (sides of the body) and not the arms. Repeat by rotating the bar down to the left hip. *Repeat for 8-15 reps on each side making sure to control the bar and not let the athlete use momentum to bring the bar back to starting position. By incorporating these two exercises into an athletes workout program 2-3 days a week, they should begin to notice an increase in linear speed (forward) as well as their shuttle sprints (change of direction movement). Hydrophilic foods - what the hell are those? This is a big word used to describe foods that are "water lovers", meaning that they attract and retain water and help to fill you up. You may be surprised to learn that some of these foods are ones you eat regularly, and others are foods you should try to include in your daily diet. For those who are looking to lose some weight, these foods are hugely beneficial because of their high soluble fiber amounts. This helps to slow down the digestion process and give you the feeling of fullness for a longer period of time. Believe it or not, there is even a "hydrophilic diet", click here for more info. I am not keen on recommending "diets" to anyone but this one seems to be pretty legit and sustainable. This diet does have some very sounds evidence that doesn't require any major changes or restrictions, and exercise is highly recommended as part of the diet, which many other diets don't seem to mention. Hydrophilic foods have even been shown to help reduce LDL (bad) cholesterol, and help control diabetes by keeping insulin sensitivity in check. 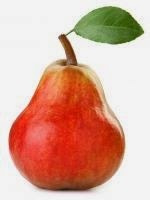 Some examples of hydrophilic foods include: brussels sprouts, chia seeds, oranges, pears, oatmeal, kidney beans, celery, figs, apricots, broccoli, raspberries, blackberries and strawberries. Many in the OCR community may be familiar with Beet Elite. 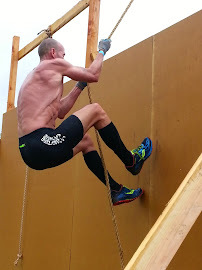 Many of the elite obstacle course race athletes are plastering fake "Beet Elite" tattoo's on their bodies as part of their sponsorship, and swear that drinking the juice helps improve their performance during races and training. Is this actually true, and should you be taking it before or after your workouts/races? 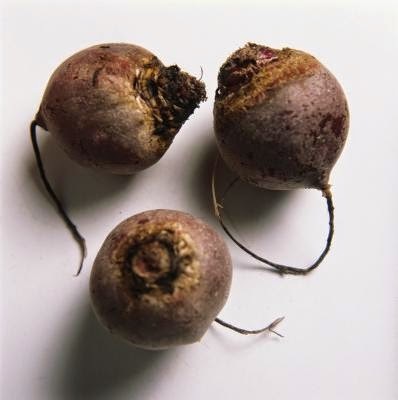 Beet juice is made from the root vegetable, Beets. If you're are not familiar with this veggie, it comes in several distinct colors, red (most common), golden orange, pink and white. They are full of many essential nutrients including vitamins A, C, B1, B2, and B6. 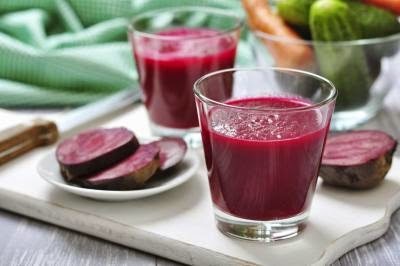 Research shows that drinking beet juice can help lower blood pressure, boost stamina, and reduce inflammation (a risk factor for Type-2 Diabetes, cancer, and cardiovascular disease). The reason for this is that Beets are full of natural chemicals known as nitrates, a nutrient usually found in green, leafy vegetables as well as beets. During exercise, our bodies convert those nitrates into nitric oxide, which causes blood vessels to dilate and hence increasing blood flow and reducing blood pressure. As a results of the increased blood flow, more oxygen can travel to the working muscles, allowing them to work at higher intensities. How much beet juice is safe to drink? It appears that drinking 2 cups daily is sufficient for the health benefits listed below. 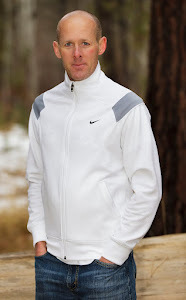 So, what are the benefits to athletes? 1. Increase in stamina and endurance - according to the University of Exeter, drinking 2 cups (500ml) improved stamina up to 6 days and allowed athletes to exercise up to 16% longer. 2. Regulation and balance of electrolyte levels - because beet juice contains lots of potassium, it can help prevent cramping during periods of heavy sweating. 3. Improves blood flow - this can help prevent blood clotting, lower LDL cholesterol (bad cholesterol) and increase HDL (good cholesterol) for better overall heart health, critical for heavy exercisers. 4. Reduces inflammation - prevents muscle tissue damage leading to sore muscles from strenuous exercise. I'm going to give beet juice a try for the next 3 months and see if I can notice these benefits myself. Mothers Juice Cafe in Bend, OR is now selling bottled beet juice for $7 per bottle. I am also going to try using beets in my Nutri Bullet to make some healthy smoothies along with other veggies. Beet Elite, a supplement made with natural sweeteners, is a faster and more powerful way to deliver nitric oxide to working muscles. A shot of Beet Elite is equivalent to 6 whole beets, making for a more concentrated solution so you don't need to consume as much before an event. Some of the OCR athletes that swear by it include, Hunter McIntyre, Matt Novakovich, Rose Wetzel-Sinnett, and Isaiah Vidal.